Product prices and availability are accurate as of 2019-04-21 03:20:12 EDT and are subject to change. Any price and availability information displayed on http://www.amazon.com/ at the time of purchase will apply to the purchase of this product. 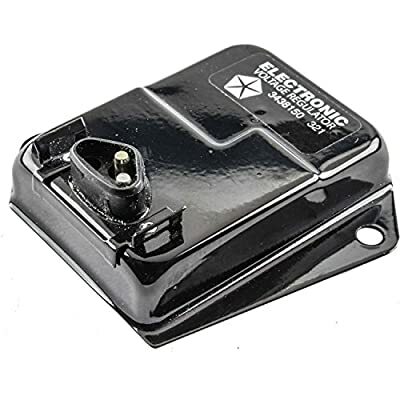 NEW IN PACKAGE GENUINE OEM MOPAR VOLTAGE REGULATOR (WITH 321 DATE CODE) PART # 77R06285 FITS EARLY 70'S CHRYSLER, DODGE & PLYMOUTH MUSCLE CARS FOR CORRECT RESTORATION FITS 1970 MODELS. 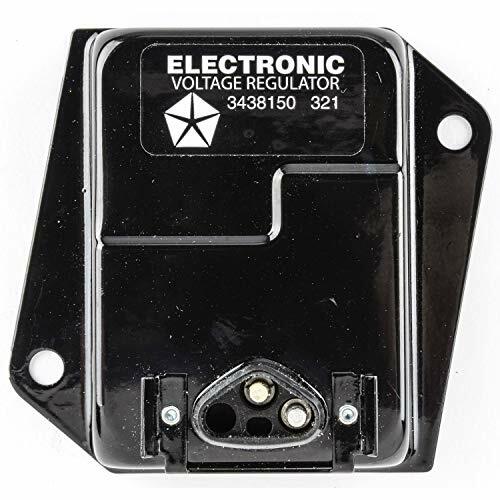 For restoration or repair, Mopar offers this factory reissue of the Voltage Regulator, as used on muscle cars of the early 1970s. The regulator is black, with the original Mopar part number imprinted in white. Contains modern electronics.